Happy birthday to the man, JB! Since forming in 1985, Widespread Panic’s tight instrumentation, killer vocals, overall energy, and stage presence has made them one of the most exciting live acts in music. Here are some clips that showcase the intense, full-fledged rock ‘n’ roll experience that Widespread Panic’s shows have to offer. The dueling between the instruments at hand in this live rendition of “Tie Your Shoes” depicts the essence of live Widespread Panic. Coated in lights providing colors and shadows to depict a certain mood, each member of the band goes crazy on their instruments, keeping a consistent tempo and high energy throughout the song. This is an absolutely beautiful performance. We couldn’t make a Widespread Panic list without showing love for founding guitarist Michael Houser. You can’t go wrong with Widespread Panic, and this performance proves why. 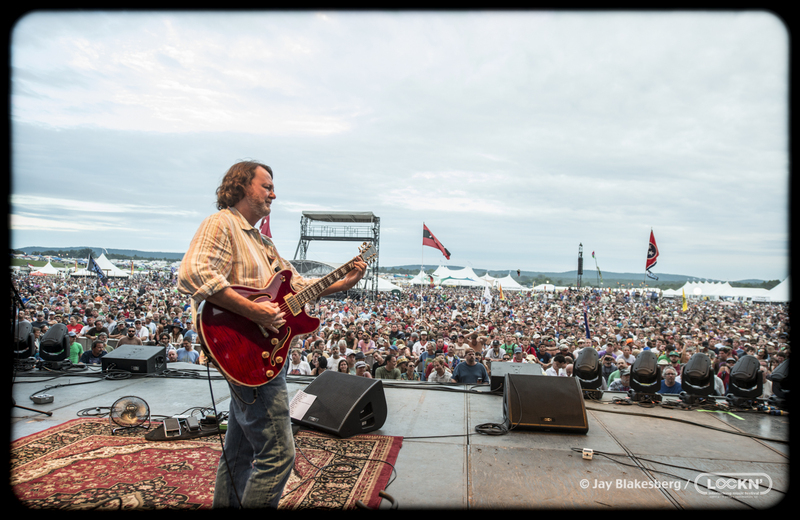 Life is always grand at LOCKN’ with Widespread Panic and we’re so excited to welcome them back this year. On their rendition of two of our favorite songs by The Band, Widespread Panic proves their knack for covers again, adding the Panic flare to the classics. Jimmy Herring shreds over JB’s rhythmic guitar playing, John “JoJo” Hermann’s organ playing, and Todd Nance’s drumming. Herring’s playing would make Robbie Robertson proud! Joined by Sunny Ortiz and Todd Nance, the crisp recording of the sound in this performance, of a cut off their 1993 album “Everyday” makes sure viewers can take note of the excellent instrumentation at hand during their 2007 New Years Eve show. Jimmy Herring shreds over the song in a style almost reminiscent of flamenco. In an earlier cut of one of their Red Rocks shows, the lead guitar is handled by co-founder of Widespread Panic, Michael Houser, who sadly passed less than two months after this show on August 10 of 2002. Houser’s guitar playing ability shines on this recording as he plays alongside John Bell’s vocals and shines on his own solos and little riffs. We love you, Mikey! Pumping out an absolutely jaw-dropping, epically long cover of a classic Beatles cut, JB makes the lyrics his own as he sings with passion. The big band instrumentation in this rendition with horns and trumpets being incorporated makes the cover more immaculate, adding a “larger than life” sound to an already excellent assembly of instrument playing. Widespread Panic breaks out a song from their 1988 album “Space Wrangler” in this performance during LOCKN’ in August 2017. The song encapsulates exactly what makes a Widespread Panic performance worth seeing: excellent ambiance, high-energy, long jamming, pristine vocals from John Bell, and overall an intense live experience that will certainly be one for the books for any fan.